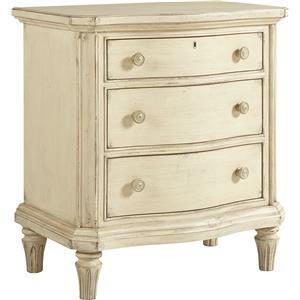 The beautifully curved front of this charming night stand adds the exquisite appeal of fine traditional craftsmanship. 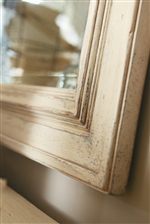 This is augmented by the lovely distressed finish that gives the piece its rustic, antique appearance. 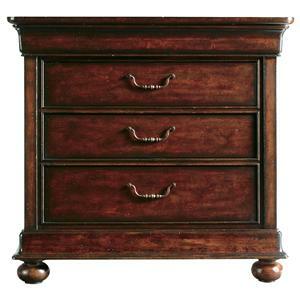 It features three drawers dotted with intricate knob hardware. There is enough room to easily store clothes or books while it sits alongside your bed with a reading lamp adorning its top. 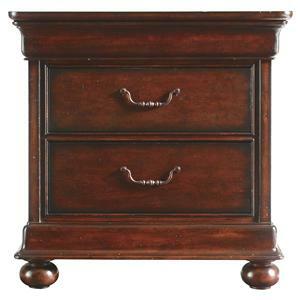 The European Cottage Three Drawer Night Stand with Wood Veneer by Stanley Furniture at Stuckey Furniture in the Mt. Pleasant and Stuckey, South Carolina area. Product availability may vary. Contact us for the most current availability on this product. Drawer Suspension Heavy-duty center wood on wood guides. Doors and drawers operate with ease, and are flush with the surface when closed. 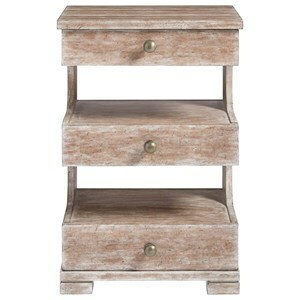 Description: Top Well mounted top and sides. Case Construction Select hardwood solids; Mahogany veneers; simulated wood components. Mortise and tenon joint construction. 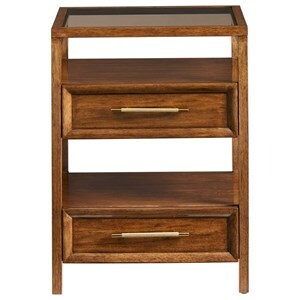 Durable dust panels between drawers provide extra structure and seal each unit. Back panels/Case backs are recessed into ends. They fit well and are smoothly finished. Warranty Warranty covers repair or replacement for one year from the invoice shipped date. This applies under normal household use only, and not to damage from negligence, misuse, accidents, or where furniture is exposed to extreme, unusual weather. The European Cottage collection is a celebration of the impeccable craftsmanship found in traditional furniture. 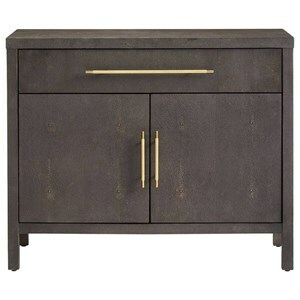 Beautifully intricate but delightfully subtle details are found throughout the collection, with elegant, tapered feet, gracefully curved, serpentine fronts, and detailed hardware adorning many of the pieces. 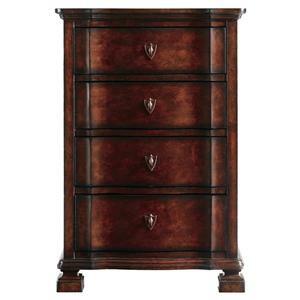 These impeccable features all brilliantly accent the exquisitely distressed finishes of the mahogany veneers. 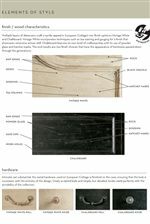 This finish accented by its own unique distressing techniques, further demonstrating the artisan craftsmanship found throughout this collection. Adorn your home with any of these lovely pieces to give it the rustic charm and timeless elegance of the European Cottage collection. 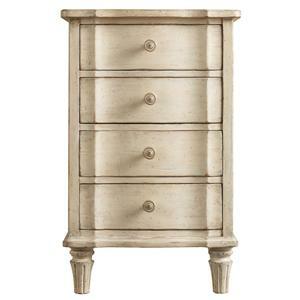 The European Cottage collection is a great option if you are looking for Traditional Cottage furniture in the Mt. Pleasant and Stuckey, South Carolina area. 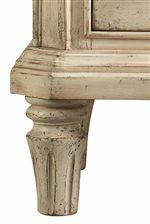 Browse other items in the European Cottage collection from Stuckey Furniture in the Mt. Pleasant and Stuckey, South Carolina area.